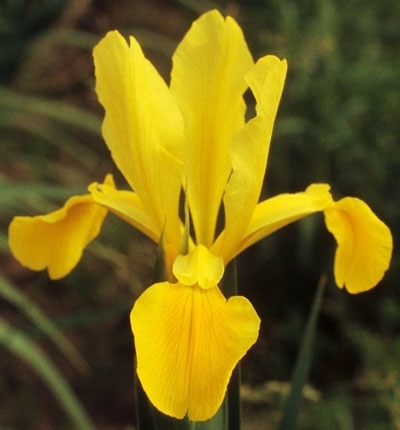 Sunny Day-H. Sass-1931-Spuria Iris-36 Inches tall-Early medium bloom season-deep yellow self that just won't quit in ppoularity. Superb grower and faultless habits. HM AM Nies Award. Wisley Trials.